Welcome to The BBQ Shop Online Store. We specialise in a host of top name Barbecues from brands such as Broil King, Napoleon, Cadac, and Big Green Egg. Whether you are looking for a simple model to take away or an outdoor kitchen experience, we have it all. All of the models you see on our site can be delivered to your door. 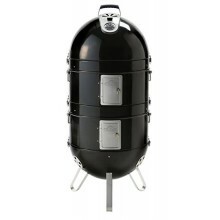 We offer fast delivery - We will even build your BBQ for you should you wish it. Simply give us a call on 01483 760750 for build and deliver options. Our staff are highly experienced in all things BBQ and we are always happy to help. 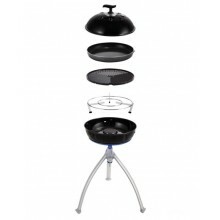 Please have a browse through our site to see if there is a BBQ to suit your needs. If you do not see it. Please Contact Us - We may just have it. We really do offer the whole package. Thank you for looking! 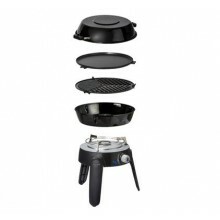 Broil King Porta-Chef 120 BBQ is a versatile BBQ that is fit for any occasion. 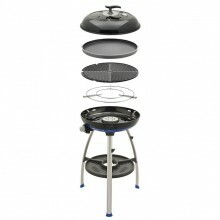 Whether you are plann..
Broil King Porta-Chef 320 BBQ is a versatile BBQ that is fit for any occasion. Whether you are plann.. The New Napoleon Rogue Black R365 Gas Barbecue takes grilling to the next level. The sleek compact g.. The Napoleon Rogue R425 Gas Barbecue takes grilling to the next level. This is the ultimate BBQ for .. The Napoleon Rogue R425SB Gas Barbecue takes grilling to the next level. This is the ultimate BBQ fo.. 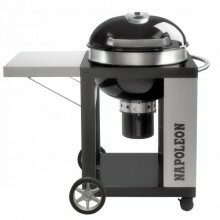 The Napoleon Rogue R425SIBPSS Gas Barbecue takes grilling to the next level. 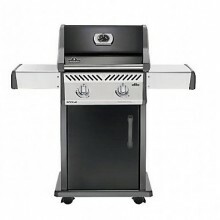 This is the ultimate BB..
Napoleon Rogue R525PK-GB Gas BBQThe Napoleon Rogue R525PK-GB Gas BBQ is the largest of the Rogue Ran..
Napoleon Rogue RSE425RSIBPSS Stainless Steel Gas BBQThe Napoleon Rogue RSE425RSIBPSS Stainless Steel.. 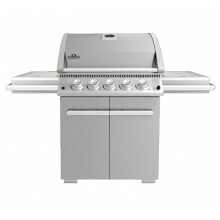 The New Broil King Gem 320 has been redesigned with comfort in mind, with exciting new features. Now.. 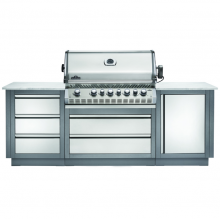 The New Broil King Gem 340 Gas BBQ has been redesigned with comfort in mind. With exciting new featu.. 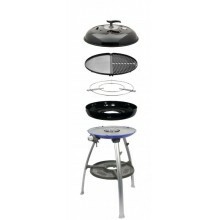 The Cadac Carri Chef 2 BBQ Plancha Combo is a versatile all in one gas BBQ for use at home or o.. 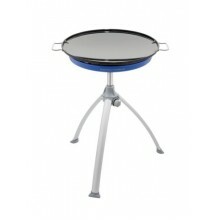 This robust compact and portable with a non-stick, 38cm BBQ top is perfect for barbecuing meat, fish.. The Cadac Grillo Chef 2 Chef Pan Combo is the perfect way to enjoy great food whilst on the move. Po.. The legendary Braai life Cadac brand is back with a brand new, portable BBQ for Summer 2017. 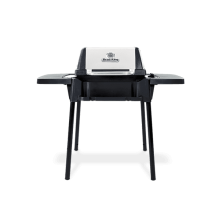 The Gri..
Napoleon 300 Apollo SmokerThis brilliant Napoleon Apollo Charcoal Grill and Water Smoker is brillian..
Napoleon 57cm Pro Charcoal Cart Barbecue w/ Free CoverThe Napoleon 57cm Pro Charcoal Cart BBQ i.. The Napoleon Pro Kettle BBQ is a must for anyone wanting a premium kettle BBQ. 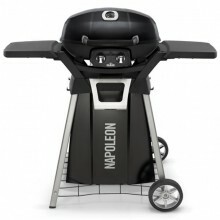 The PRO22 is ver..
Napoleon Portable PRO285 Gas GrillGenuine, infinite freedom, with the TravelQ series BBQs. This port..
Napoleon TravelQ PRO285X Portable BBQ w/ Scissor StandGenuine, infinite freedom, with the TravelQ se.. The Broil King Crown Classic 310 Gas BBQ is new for 2017. The Crown Classic series offers performanc.. The Broil King Crown Classic 330 Gas BBQ is new for 2017. 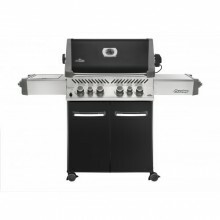 The Crown Classic series offers performanc..
Broil King Crown Classic 410The Broil King Crown Classic 410 Gas BBQ is new for 2017. 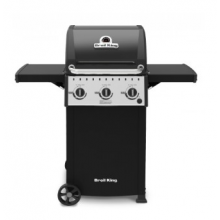 The Crown Clas..
Broil King Crown Classic 430The Broil King Crown Classic 430 Gas BBQ is new for 2017. The Crown Clas.. 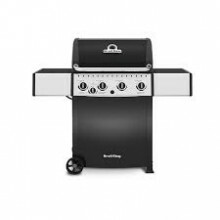 The Broil King Royal 320 is a must for anybody wanting a compact BBQ with compromising on quality an.. 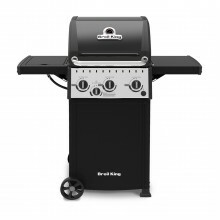 The Broil King Royal 340 is a must for anybody wanting a compact BBQ with compromising on quality an..
A revolution in outdoor cooking with 2 independant cooking areas that allow for a variety of interch.. 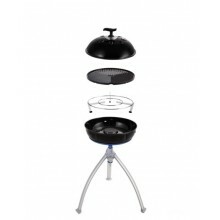 The Cadac Meridian 3 Burner Gas BBQ - Black is a real innovation. Beautifully designed and ..
Cadac Meridian 3 Burner Gas BBQ - Stainless SteelThe Cadac Meridian 3 Burner Gas BBQ - Stainless..
Cadac Meridian 4 Burner Stainless Steel Gas BBQThe Cadac Meridian 4 Stainless Steel Gas BBQ..
Cadac Stratos 3 Burner Gas BBQCadac Stratos 3 Burner Gas BBQ is perfectly designed to be st..
Cadac Stratos 4 Burner Gas BBQCadac Stratos 4 Burner Gas BBQ is great value for money. 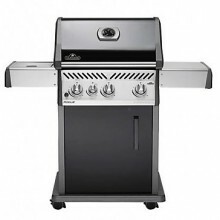 Featuring..
Includes Free CoverThe Napoleon LE485RSIBN or LE3 Gas Barbecue in Natural Gas offers all you need to..
Includes Free CoverNapoleon’s LEX485RSIB-1 Gas Barbecue has everything you need for the ultimate gri.. 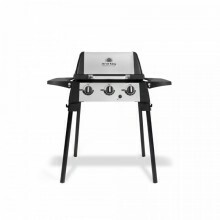 The Napoleon LEX605RSBI Gas Barbecue with rear infrared burner, infrared SIZZLE ZONE™ bottom burner ..
Includes Free CoverThe Napoleon LEX730 RSBI Gas Barbecue is everything you need for outdoor entertai.. 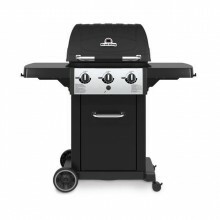 The Prestige Series P500 RSIBBK Gas Grill is the total package. The Napoleon Prestige P500 has all t.. The Prestige Series P500 RSIBBCH Gas Grill is the total package. The Napoleon Prestige P500 has all .. 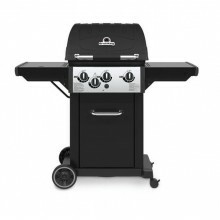 The Prestige Series P500 RSIBSS Gas Grill is the total package. The Napoleon Prestige P500 has all t..
Napoleon steps it up a gear with the Prestige Pro 500 with a tonne of updated features that will kee..
Napoleon steps it up a gear with the Prestige Pro 500 RSIB-1 in Natural Gas with a tonne of updated ..
Includes Free CoverThe Napoleon Prestige Pro 665 RSIB Gas BBQ is the perfect blend of size and style..